Keep your little one protected as they play on the beach or paddle in the pool, with this super-cute suit made from UV protective fabric. Featuring sun protection of UPF50+, our UV protective children's clothing helps provide UVA and UVB protection from the sun and has been tested to meet the Australian Radiation Protection and Nuclear Safety Agency standards. 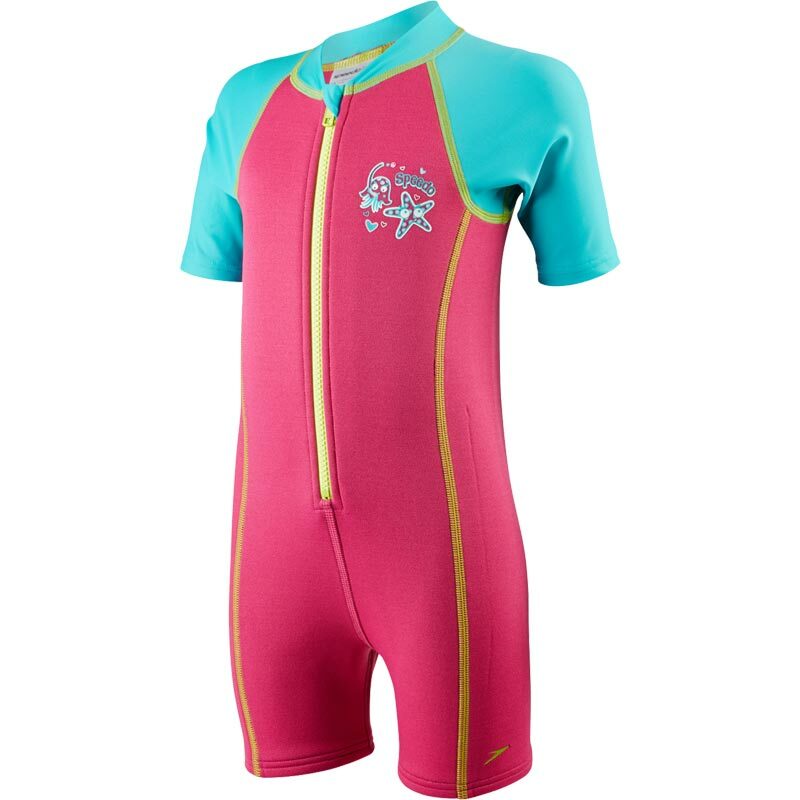 The Speedo ® Sea Squad Hot Tot Suit covers your child's shoulders, tummy and the tops of her legs, to help these areas resist sunburn and the harmful ultraviolet rays of the sun. This garment will resist the harmful UVA and UVB rays from the sun. Helps prevent sunburn where the material covers the body. Ideal for holiday and summer use. Offers greater coverage and protection from the sun. All-in-one suit with a zip front. Fun design with blocks of vibrant colour. Main body: 56% rubber, 44% polyamide. It is recommended that a high protection sunscreen is used for protection of the body, particularly on areas not covered by the material. It is really difficult to find small size swimming suit for a child. But this one is really very nice perfectly fitted to my 3.5 year daughter. She really enjoy wearing it in swimming pool. I would definitely recommend this. we have been buying speedo swimming suit for our daughter since she started learning swimming two years ago as it keeps her warm and is very easy to put on and very comfy too. we are always happy buying this brand! !